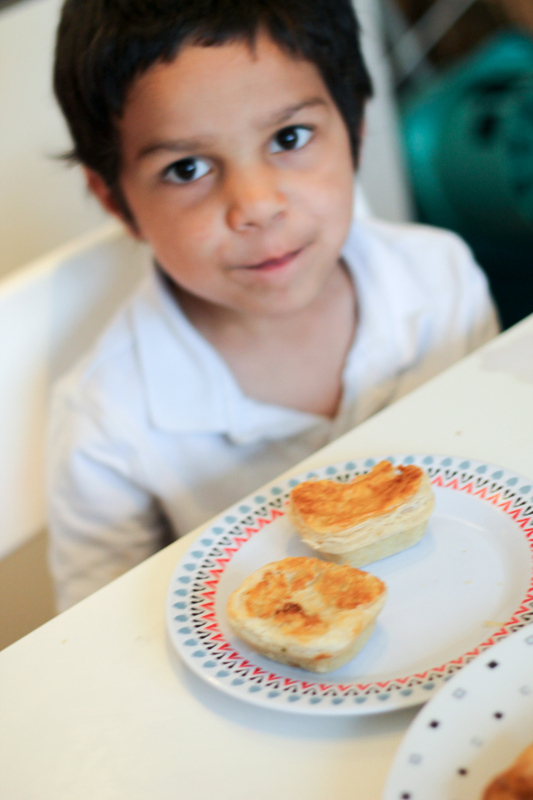 Recently we tried out some lovely canapies from Square Pie. Square Pies are just like proper traditional pies, only square, and in the case of the canapies they are in miniature size too. Our pies were delivered to us at home, and Square Pie offer delivery to offices in London or to groups and tours dropping at landmarks in London, or even for picnics in the park. The canapies come in a box of four mini pies per flavour, and I warmed them in the oven quickly before serving, but you can also have them cold. They made a lovely teatime treat for the kids at home. 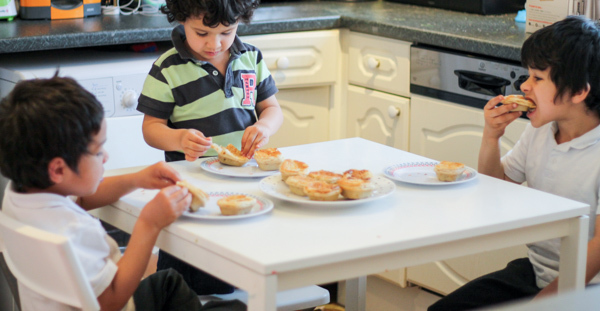 They were all keen to try out the pies, and really enjoyed them. The favourite flavour with the kids was sweet potato & goats cheese. These canapies would work really well for picnics or parties, and should be popular with all age groups. I was pleased to see how much the children liked them, and their dad and I enjoyed them too. There are branches of Square Pie across London, in Old Spitalfield’s Market, both Westfield shopping centres, Bluewater and the Excel exhibition centre, so it would definitely be worth popping in to check them out if you are in the area – or thinking about arranging a delivery if not. I’m sure the kids would love to eat these canapies again in future, and we may check out some of the other items on their menu too. 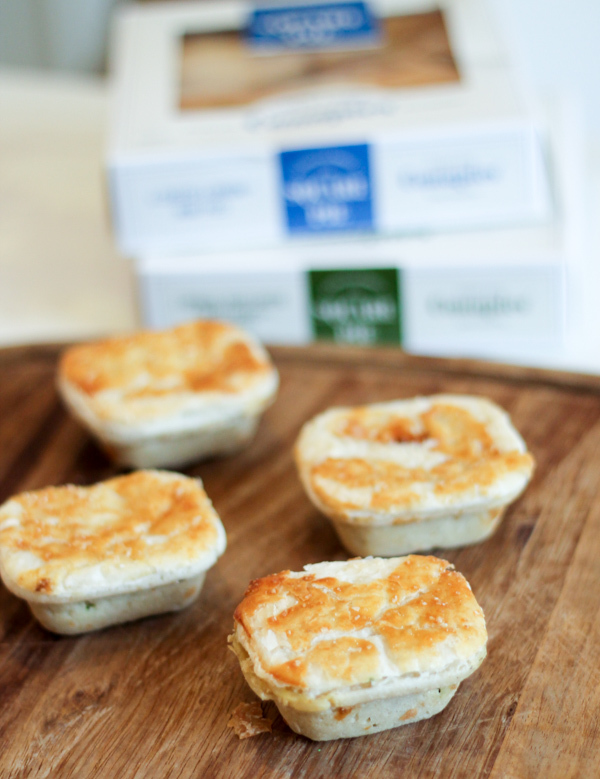 If you’re not near a S​quare Pie shop, ​you can now get your hands on them from Ocado and most London Tesco stores. C​anapies cost £3.79 for four 60g pies.